Fiat 500 Powerflex Engine Mount Insert. 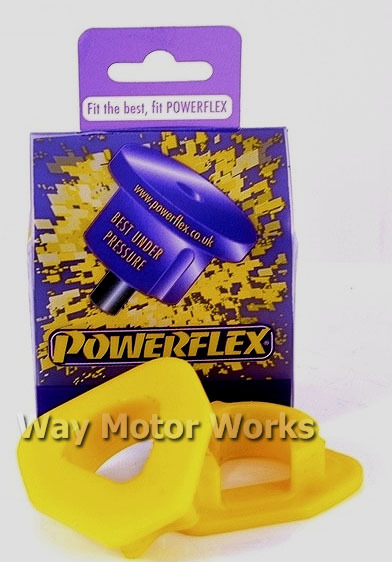 This simple powerflex polyurethane bushing set simply presses into the stock Fiat engine mount. These bushing inserts fill in the gaps in the stock rubber mount to stiffen it up and help you get the power to the ground by having less driveline slop. WMW has found this to be a super simple and really cost effective mod that you will actually notice and feel when driving. Sold as one set of bushing inserts. Enough for one Fiat.